We wanted to bring the same intense flavor notes of our regular espresso to a decaf version. Because decaf roasts very differently, we developed an entirely new way to roast our decaf espresso that develops dark intense espresso flavors without burning. 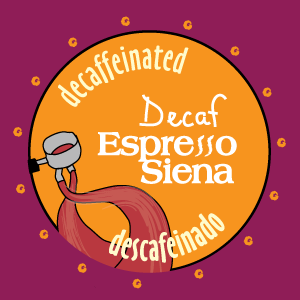 This breakthrough will leave your palate wondering how a decaf can taste so well! Enjoy anytime!